Continuing the theme from last week of books that will take you places even if you can't get away this summer, what do you say about a trip to London, Paris, and Sicily? 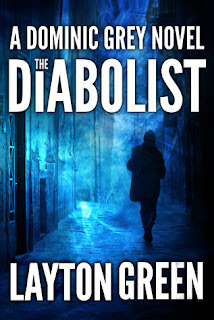 Hold on to your seat, because The Diabolist by Layton Green will take you on a ride. 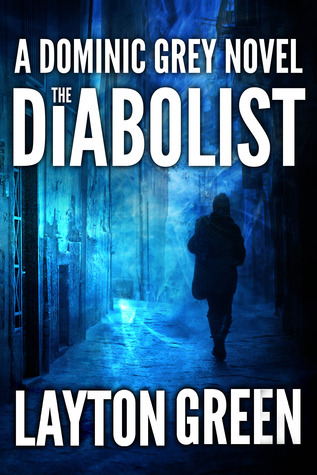 Dominic Grey is back on the case in this thriller that can be described as Supernatural meets Dan Brown. However, Dean and Sam have nothing on Dominic. He is definitely leading man quality. We see a bit more of his trained killer street fighter side. Like The Egyptian (see my review), The Diabolist can be read exclusive from the series. I still need to read the first book in the series, but I don't feel like I'm missing anything in the story line. There are references made to the first book, The Summoner. I think there were more references than to the second book, but as a stand alone it's still quite enjoyable. Dominic, along with his partner/boss,Viktor Radek, Interpol consultant and professor of Religious Phenomenology are called in to investigate the deaths of religious cult leaders in San Francisco, Paris, and London. You will get the tourist experience, but beware of the lurking shadows of the most dangerous cults in the world. not only will you be taken on a journey through Europe, but also a journey of belief - What is good? What is evil? Is there one God or two opposing but equal forces? - as the investigation takes on a more personal note. Subterfuge takes on a whole new meaning when magic, illusion, and powerful belief are involved. Will Dominic and Viktor figure out the slight of hand before time runs out? Or will they both fall victim to one's unwavering faith? The danger and suspense never lets up as Viktor tracks down an old friend and Dominic determines if the girl is an accomplice or a damsel he needs to save.